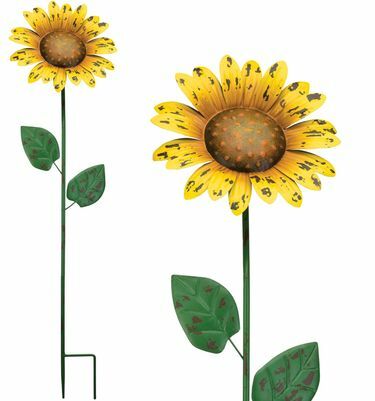 With the charm of weathered metal, our new hand-painted 36" Rustic Flowers come alive in vibrant colors! Classic styles for year round decor. Place a grouping of stakes to create a floral scene - mix and match them for added variation! Available in four styles: Daisy, Marigold, Mum and Sunflower. Size: 9" x 35"H., Metal.